In this post I'll take a detailed first look at how to use knative build to build a Docker image for an OpenFaaS function on Kubernetes. By the end of the post we'll have built a Docker image for an OpenFaaS function using Node.js and then we'll explore how to make that more generic to use across multiple functions. 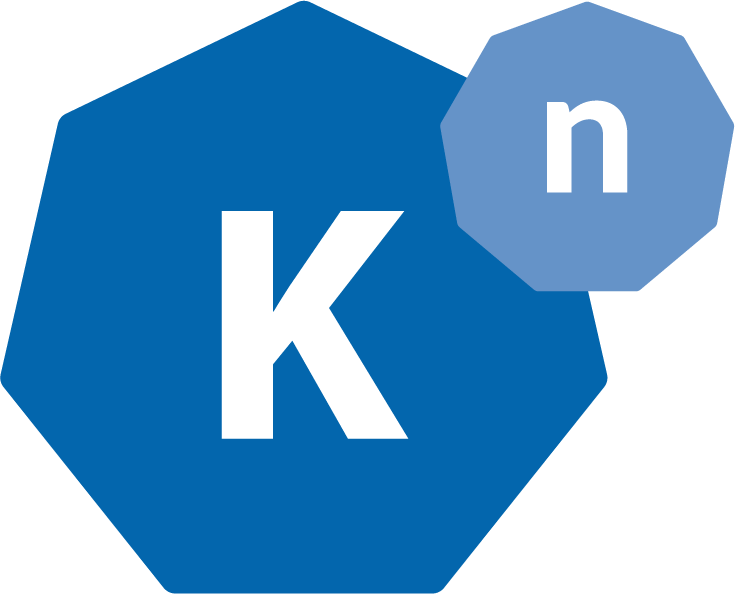 The knative build component can be deployed separately to the other components such as: Serving and Eventing. Its primary use-case is in-cluster builds on Kubernetes using declarative one-shot jobs in a similar fashion to what we would traditionally create with Jenkins. Once you have a working Build definition for your project you can extend it into a BuildTemplate and start parameterizing it to include things like Git revision in the Docker image name, to use a custom git branch and so on. The build job is represented by a Build Custom Resource Definition or CRD. These are YAML files which can be loaded into the cluster using kubectl apply -f filename.yaml. In this post I'll write an example for use with the faas-cli and a repository where I have one function. You can follow this tutorial without installing OpenFaaS or the CLI, but it may make more sense if you do. You can find out how to leverage the OpenFaaS template by finding its GitHub repository and then checking out its README. I tend to the function's YAML file i.e. node-tester.yml to stack.yml which is the default and makes for less typing. If you don't want to rename the file then pass the -f or --yaml parameter to each faas-cli command. First create a Kubernets cluster, this could be using kind, a remote cluster or your existing one. We can now define a secret for pushing a Docker image to the Docker Hub or another remote registry. In order to grant access to secret above we need to create a Kubernetes service account. If you already use the name build-bot for other purposes, then you can use another name. Here is the build for a Node.js function using the node8-express template from the template store. Each build step is specified as a command and a set of ordered arguments in a similar syntax to what you may have used in a Dockerfile's CMD entry. build-push - in this final step we use a pinned version of Kaniko to build, then push the image to the Docker Hub. It appears that version 0.8.0 and 0.9.0 has a bug that prevents working with the registry. I used three standard flags including --context=dir:// which specified the root to use to build the Dockerfile. I pointed this at the directory generated by the shrinkwrap stage. See also: Kaniko docs and build arguments. You can view the progress of the build with kail -n default which will output the logs from each container and Pod in the given namespace. Note that in Cloud Build the use of templates makes the file more generic. In knative build that task is best served through the BuildTemplate CRD. We can now start to parameterize the Build for use across multiple repositories. Let's paramaterize the Docker Hub name and function name. When we have a working template, we'll be able to cut down on our build significantly. Now we just define the source, the template and a number of parameters. Save the above as ofc-templated-test-build.yaml and apply with kubectl apply -f.
I can see my two builds on the Docker Hub - the first was created through a Build with hard-coded values and the second was created through a more generic BuildTemplate which I can also use with other repos and projects. In the past I've written about BuildKit and Kaniko separately - both projects have pros and cons. My impression is that the Google team behind Knative are using kaniko and recommend the tool because it's daemonless and can run as a non-privileged container, it does however run as root. An alternative is BuildKit which is also supported. To find out more checkout the BuildKit BuildTemplate. In a short period of time we were able to install knative build, define a working build and push secret for the Docker Hub and then parameterize the build definition to reduce duplication. For a small team that is shipping functions and microservices, knative build could provide a lean alternative to a full Jenkins deployment, but there are some drawbacks mainly around the user-experience. I do have some concerns about whether large enterprise teams will adopt a tool like knative build for shipping their products. In my experience CI / CD is often provided as a service by an internal team which may also cover shipping legacy products with complicated edge cases. Final word - the declarative approach aligns very well with the recent push by the Kubernetes community to embrace CRDs. I would expect us to see a number of new projects emerging which add a UI and a more accessible CLI to the Build/Template CRD.